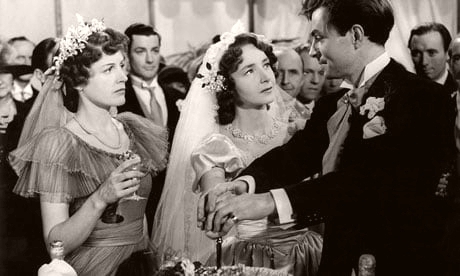 Lucy Moore (Phyllis Calvert), Charlotte Lee (Dulcie Gray) and Geoffrey Lee (James Mason) in a scene from Arthur Crabtree’s 1945 film, They Were Sisters. Dulcie Gray, the British actress known in the 1940s for her English rose characters, has died at the actors’ retirement home, Denville Hall, aged 95. In addition to her own acting and writing, she was known for her professional and personal partnership with fellow actor, Michael Denison. Read more at my Dulcie Gray biography.